Tombstone AZ - Crystal Palace Liquor Co. 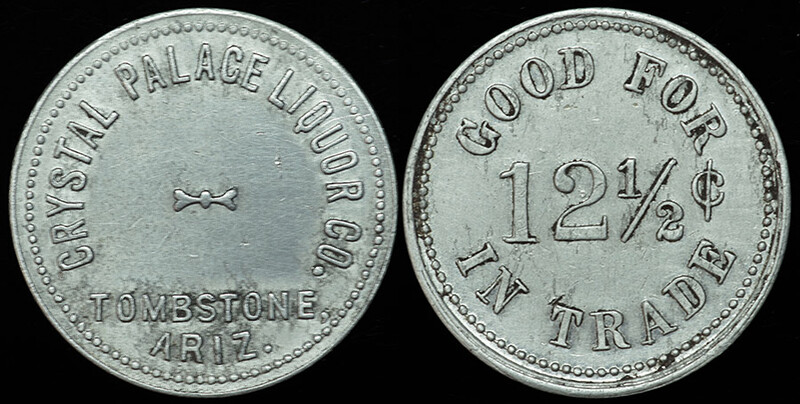 CRYSTAL PALACE LIQUOR CO. TOMBSTONE ARIZ.; Rx: GOOD FOR 12 1/2c IN TRADE. Rarity R9. Poor photo that will be replaced ASAP. Keywords: Tombstone AZ Crystal Palace Liquor Co.